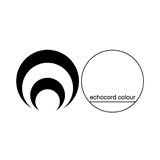 Echocord Colour is the sublabel of Echocord Records. It was founded in 2008 by the Danish DJ & Clubowner Kenneth Christiansen. Kenneth has been thinking about starting a second label for a long time, mostly because he had received so many good demoes, which he wants to release, but also because he wants to have a label where music for the dancefloor is in focus. It can be Dub-Techno it can be Detroit-Techno or House or even Dubstep, but all quality music for the dancefloor. So far artists like Onmutu Mechanicks aka Arne Weinberg, Luke Hess, Marko Fürstenberg, Quantec and Sebastien San are signed for this Echocord sublabel.